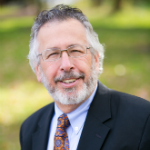 Michael S. Marcus has over 30 years of experience as a grantmaker, manager, organizer, trainer and facilitator working with organizations, government agencies, universities and foundations in the fields of aging, disability, homelessness, food security, housing, child welfare, and poverty. Michael is currently the principal of Consultants for Community Resources, which provides Asset-Based Community Development (ABCD) consultation to the non-profit sector, principally those working with older adults and in intergenerational settings. In California, Michael is currently working with Fresher, a Sacramento-based job training and food preparation program for youth, and the San Francisco-based Institute on Aging’s Friendship Line, in collaboration with the American Institutes for Research, on an evaluation of the efficacy of suicide prevention efforts for older adults. Learn more about Michael.